Walk the stylish cropped trend now in slim-fitting jeans defined by a faded black wash that adds vintage character. Brand: TOPMAN. 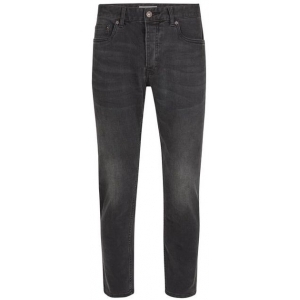 Style Name:Topman Stretch Slim Fit Crop Jeans. Style Number: 5444763. Available in stores.